Suppose Don, the Bible professor at the African seminary, returned to his host country from his year of home ministry assignment with some new ideas. In addition to visiting supporters and raising funds, he had taken some graduate level Bible courses to broaden his perspective. His former seminary students, about to graduate, immediately noticed that he had changed in some very basic ways. Rather than talking about humanity's need of salvation from sin, he emphasized that God is a god of love. He pointed out that 2 Peter 3:9 states that God is not willing that anyone should perish but wants everyone to repent. Since it is God's will that everyone repent, the students did not need to preach repentance because it would happen without them. Instead, they needed to emphasize that human beings are to rule over the earth and care for it, as Adam did in the early chapters of Genesis. He suggested that they organize their future congregations to pick up trash along roads and paths as well as other such things to care for the earth. At first his students were quite confused, but soon some of them agreed and began to pick up trash themselves. Other missionaries felt quite uneasy about this, and several urged the field director to confront the professor. However, the field director was a math major in college and had taught at the international school for years. He did not feel qualified to challenge a theologian when it came to the Bible. What should be done in such a case? The Bible has a clear case of one missionary confronting another in Galatians 2. In Acts 10-11 God appeared to have clarified to the apostles that Jews and Gentiles should be treated equally. Peter was the major one to take that position, and he explained what God had revealed to him. In fact, Peter, one of the twelve, became known as "an apostle to the Jews," which today would probably be called something like the "Director of Home Missions" (Galatians 2:8). Unlike Peter, Paul had not been a follower of Jesus while Jesus lived on earth. In fact, Paul had persecuted Jesus' followers until Jesus confronted him on his way to Damascus. This led to Paul's conversion when God sent Ananias to restore his sight. At that time God told Ananias that Paul was the one chosen to take the gospel to the Gentiles (Acts 9). In fact, Paul became known as "an apostle to the Gentiles," which today would probably be something like the "Director of Cross-Cultural Missions" (Galatians 2:8). Peter treated Jews and Gentiles alike until some men from Jerusalem, now often called Judaizers, influenced him. These men maintained that the converted Gentiles had to follow all Jewish customs. Peter had been eating with the Gentiles, but when the Judiazers came, Peter began to separate from the Gentiles for fear of the Judiazers (Galatians 2:12). This was clearly wrong, so Paul confronted Peter about it. Isn't it hard to confront missionaries? Yes, confronting other missionaries is probably the most difficult thing missionaries do. In the early 1980s Dorothy Gish surveyed 547 missionaries serving in many countries with many agencies to rate how stressful 65 items were to them. The most stressful thing was "Confronting Others When Necessary." This was more stressful than such things as communicating across language and cultural barriers, amount of work, or frequent moving. This study was published as "Sources of Missionary Stress" in the 1983 Journal of Psychology and Theology. 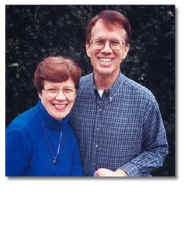 In the 1990s Joan Carter asked 306 CMA missionaries serving on 13 fields during an 8-year period to rate sources of stress. This data was collected through on-site visits and included additional possible stressors. The top dozen stressors were consistent with those Gish found, and the stress rating was even higher than Gish had found a decade earlier. "Confronting Others When Necessary" tied for the top rating. This study was published in the Journal of Psychology and Theology in 1999 as "Missionary Stressors and Implications for Care." There is no question that confronting other missionaries is very difficult and generates much stress. When should missionaries be confronted? Confrontation may lead to serious interpersonal problems, so it is best to do it over only very serious issues. The person confronting must judge whether or not it is worth the risk. Paul specified two reasons for his confrontation with Peter. Second: "The other Jews joined him (Peter)" (Galatians 2:13). Not only was Peter doing something wrong but also he was influencing others to do it. Even Barnabas (Paul's missionary colleague during their first term of service) was led astray. When a person is influencing others to do wrong, he or she must be confronted. These are situations which clearly call for confrontation. Much of the time things are not as evident. Should a missionary be confronted about his dog's behavior? What about if his dog barks too much? What about if her dog has bitten several TCKs? Should a teacher be confronted about his behavior? What if she is grading too hard? What if he has molested a student? Most agencies have a hierarchy in which it is clear where each member "ranks." That is, usually the administrators at headquarters are above people serving on the field. Among missionaries serving in other countries there may be one person responsible for a continent, then other persons responsible for each country, and even persons responsible for regions within the country. There may be field directors over city coordinators, and so forth. In these cases, the persons at the higher level are responsible for the people they supervise, and these leaders should be the ones to confront those below them when needed. Unfortunately, this does not always work as planned. In such cases, it is appropriate for missionaries to confront others at their own level. Note that Paul and Peter were both at the same level. Peter was "an apostle to the Jews" and Paul was "an apostle to the Gentiles. Of course, there are some "wrongs" that must be reported on moral grounds even if not legally required. For example, sexual molestation of a child or adolescent, child abuse, and spouse abuse must be stopped. Such behavior is very likely to be repeated, and it must be halted immediately. How does one confront missionaries? One time when Peter came to Antioch, Paul said, "I opposed him to his face" (Galatians 2:11). This is still the best way to confront another missionary. When people talk face-to-face, they are the most likely to communicate correctly because they have the most cues that give information. They can hear each other, including the volume, tone, any tremor, and so forth. They can see each other including motions of the body, facial expressions, eyes, and so forth. Replies take place immediately. Today we have many means of communication, but none of them are as good as face-to-face. Missionaries can communicate via telephone, texting, Skype, twitter, Facebook, and so forth. Some of these means of communication are better than others. For instance, with Skype the two people can see and hear to some extent, with the phone one can hear the voice, but not see. With email replies may take some time, texting gives only a brief written message, and twitter allows only 140 characters. None of these can match the face-to-face method Paul used to confront Peter. Where does one confront missionaries? When Paul saw that they (Peter, Barnabas, and the Jews) were not acting in line with the gospel truth, he confronted Peter "in front of them all" (Galatians 2:14). All of those present, including Barnabas, were clearly in the wrong. Although some missionaries react negatively to Paul confronting Peter in front of the others, this was probably appropriate for the situation. This was essentially a confrontation of everyone there. All were offenders, and all needed to hear what Paul said because they were as guilty as Peter. If Peter were the only one that had been shunning the Gentiles, Paul probably would have used something similar to what Jesus commanded in Matthew 18:15-17. This was how Jesus said individuals were to confront each other about sin. First. One person was to confront the other alone, and no one else knew. Second. If the first step was not successful, then the person was to take two other people along and talk to the offender, and the only others who knew about the problem were the two witnesses. Third. If the second step was not successful, then the whole issue could be brought before the whole church. Then everyone in the church knew. Finally. If the third step was not successful, then the church would treat the offender as a pagan. Although confrontation is very difficult, sometimes it is absolutely necessary. When such confrontation is needed, someone who is sensitive must do it.